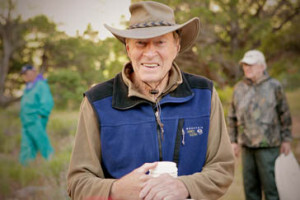 With an intense devotion to practicing environmental stewardship, Holiday River strives to preserve the world’s natural resources and environment to ensure that future generations can experience the lush beauty, raw native lands and thriving river systems that have impacted so many generations’ past. Environmental stewardship is defined as people that strive to help sustain the world’s nature resources and offer a clean environment for future generations. Making this their livelihood, they strive to ensure that their business practices and operations are environmentally friendly and responsible. Being good land stewards is the only way to help preserve the stunning, majestic beauty that encompasses these native lands. As a member of the Utah Rivers Council Board of Directors, National River Cleanup Week Board of Directors and Utah Bureau of Land Management Resource Advisory Council, Holiday River embraces the beauty of pavement-free wildernesses and strives to teach guests about the importance of minimizing carbon footprints while preserving adventure-filled rafting activities. So how can someone help save the environment, one minor step at a time? 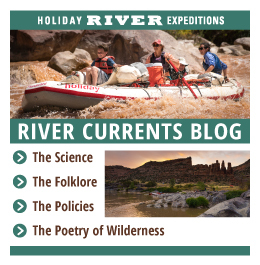 Holiday River highlights the top five tips for saving the earth’s unique atmosphere. Electricity – By turning off anything that uses electricity in a home – including televisions, computers, lights and printers – people can make a dramatic impact in the amount of electrical usage. Unplug – Always unplug devices when not in use. This includes toasters, laptop chargers and energy eating appliances. A general rule of thumb is that if an appliance goes 36 hours without use, it’s best to unplug it to avoid excess energy consumption. Energy Sources – In the U.S. alone, more than 70-percent of electricity is created by burning limited fossil fuel resources. These fuels ultimately emit greenhouses gases and toxic environmental pollution. Additionally, some power companies offer renewable energy discounts for switching to solar power energy sources. Trade In – Sometimes our forefathers had it right. Consider trading it electricity-sucking dryers for an old-fashioned clothesline. Air Conditioning and Heating – Try to limit the use of heating and air conditioning systems, as these require abundant energy sources to constantly run. If people aren’t home, opt for turning off the heat or put heating systems on a timer to avoid excess fossil fuel waste. By following the aforementioned electricity-saving tips, people can help make sure our rivers, native forestlands, pristine deserts and abundant native wildlife are well preserved for future generations. No one wants wondrous beauties, such the Grand Canyon, to be distant memories. Instead, people should take action and do their part to help preserve our delicate ecosystem and environment. This helps ensure future Grand Canyon rafting trips and rafting vacations for the next generation.